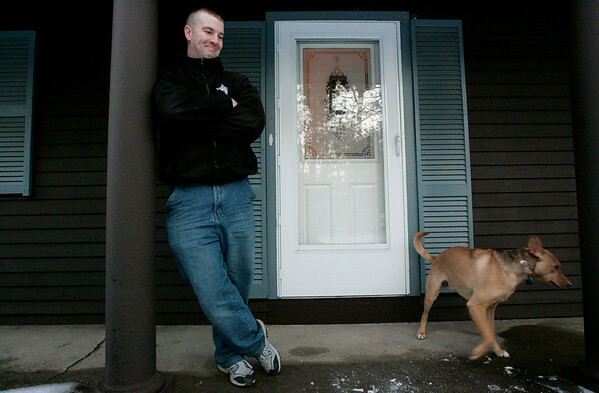 Ipswich: Sean Donahue, a retired Army Captian, laughs as a family dog runs in and out of the picture while at his home in Ipswich. Donahue suffered a traumatic brain injury along with several other physical injuries after being in a car accident while based in Georgia four years ago. He has made siginificant strides in his recovery. Photo by Deborah Parker/Salem News Thursday, January 29, 2009.